The Snow Dragons Kissable Ski Jacket is made with ultra soft fabric, and lined in key zones with cozy fleece. When she puts her coat on, she'll feel cozy and comfortable. The Kissable Jacket has a warm insulation and reliable waterproofing that's great for skiing and sledding. Ruching at the sides adds cute detail, and extendable Grow Cuffs make this an extremely practical choice. "Is this a size 6-7 or a full size 7? The size chart suggests that it may be 6-7." 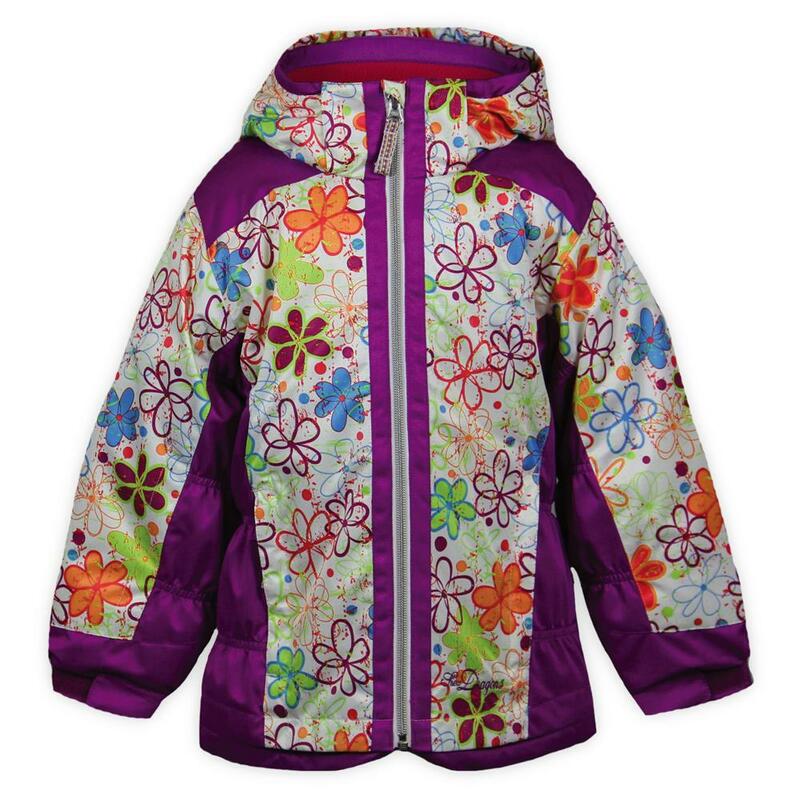 "According to the Snow Dragons sizing chart it is recommending this jacket size for ages 6-7. We would recommend taking other measurements such as the waist, chest and hips to get the most accurate fit." This jacket protects my two-year-old daughter even and 15° weather to the short walk that she has to endure to and from her daycare. Definitely will consider buying again.